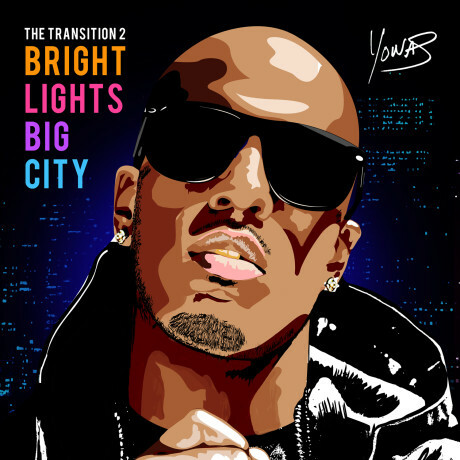 As promised, YONAS released his new, highly anticipated mixtape, The Transition 2: Bright Lights, Big City, today. The project really represents his progression as an artist from his beginnings as a more strict lyricist to a much more versatile rapper who can get on almost any type of track. The Transition 2 sees YONAS tackle fun songs with upbeat production while still making the lyrical, inspirational tracks that longtime fans can appreciate. Standout tracks include the Moosh & Twist-assisted Roller Coaster, Die Young (Freestyle), and Never Let You Down. You can check also out the previously released music video for one of the project’s singles, Girls of Summer, here. Overall, this is a great new effort from YONAS. Although this summer includes releases from J. Cole, Wale, Kanye West, and Jay-Z, YONAS definitely has a project that many, many fans will have on repeat all summer long. This entry was posted in Mixtapes and tagged Big City, Bright Lights, hip-hop, mixtape, Moosh & Twist, OCD, OCD: Moosh and Twist, rap, The Transition 2, YONAS. Bookmark the permalink.